The Macallan continues to create exquisite whiskies exposing the individuality of cask selection and the distinctiveness of their flavours. They credit a lot of this to their unrivalled commitment to the mastery of wood and spirit for which The Macallan has been known since it was established in 1824. It is an expression of their enduring desire to go beyond the ordinary to create peerless single malts. Around 100 years ago, the call was made to use sherry oak casks. At the time, it wasn’t a big decision because these types of casks were widely used and sherry was being shipped to Scotland. Over time that changed and continuing to use sherry oak casks became more expensive, as they cost ten times what the standard whisky cask would cost. The Macallan spend more per cask than any other distillery in sourcing, crafting, seasoning and caring for their casks. For The Macallan, investing the time and effort in the meticulous process of cask preparation, ready to house the new make spirit and let it slumber for 10, 20, 30 plus years, is key – up to 80% of the spirit’s character and flavour is determined by the cask quality. The Macallan have continued to make the call over the years, and it was clearly the right one to make. With an unflinching commitment to put sherry casks at the heart of The Macallan single malt, their reputation for the extraordinary is a testament to the exceptional oak casks in which they mature their spirit. Sourced, crafted, toasted and seasoned under the watchful eye of The Macallan Master of Wood, these hand-picked casks are delivered to the demanding specifications of The Macallan Master Distiller and his team. Once filled, the maturing spirit remains undisturbed in the same casks for the necessary number of years it needs to be worthy of its destined Macallan expression. It is these oak casks that make the greatest contribution to the quality, natural colour and distinctive aromas and flavours which lie at the heart of The Macallan single malt whisky. The Macallan’s American oak is harvested in Ohio, Missouri and Kentucky when they are approximately 70 years old. As American oak is denser than its European relative, it is perfectly suited for creating both bourbon and sherry casks. In contrast, the European sherry seasoned oak is more porous and contains more tannins than American oak, which although they take longer to mature, play a pivotal role in the colour and flavour of spirits. In fact, the European wood has up to five times more tannins, which provide the distinct astringency often associated with wines and spirits. Heavy rainfall provides the perfect climate conditions for the European oak trees to slowly grow, and these are harvested in the Spanish regions of Cantabria, Galicia and across the Pyrenees into France when they’re around 100 years old. Drying the wood is an integral part of the cask making. The Macallan dry the wood to ensure the heavy oils (which are very astringent) from within the wood, don’t spoil the precious spirit they wish to mature. Wood can be dried in two ways: kiln dried, which is faster but can have a negative impact on the qualities we need for maturation, or air dried which takes longer, but preserves the distinct characters of the wood needed for maturing whisky. At The Macallan, they appreciate and value the exceptional. It is a conscious choice to air dry the wood. It is worth the cost and a wisdom of wood worth having. 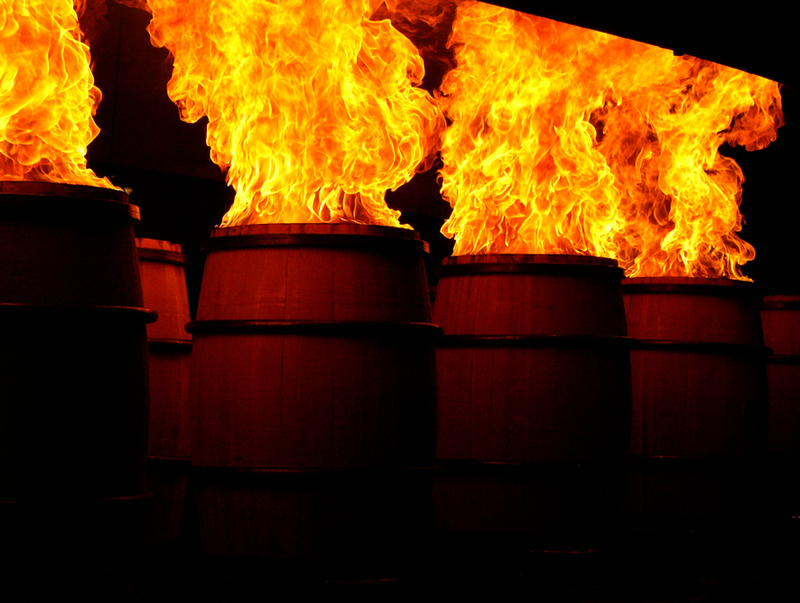 For both wood types The Macallan air dry the entire logs for a year at the place of harvest. This reduces the moisture content of the oak, cutting down on weight for transport and moisture for sawing. Once the moisture content of the wood has been reduced, the wood is cut into individual ‘staves’. Any wooden vessel that is intended to contain liquid will be ‘quarter sawn’ to ensure the nature of the wood is used to create a quality cask. The American oak staves are then transported to Jerez de la Frontera in Spain. Before being crafted into casks, these staves are left to dry for another year in the Spanish sun. Once the wood reaches between 12-16 percent moisture content, it can be passed to the coopers for ‘the rising’ of the cask. It takes approximately six years to create a Macallan Sherry-Seasoned cask, from harvesting the tree to filling with our Macallan spirit. Overseeing this process is our Master of Wood, Stuart MacPherson. 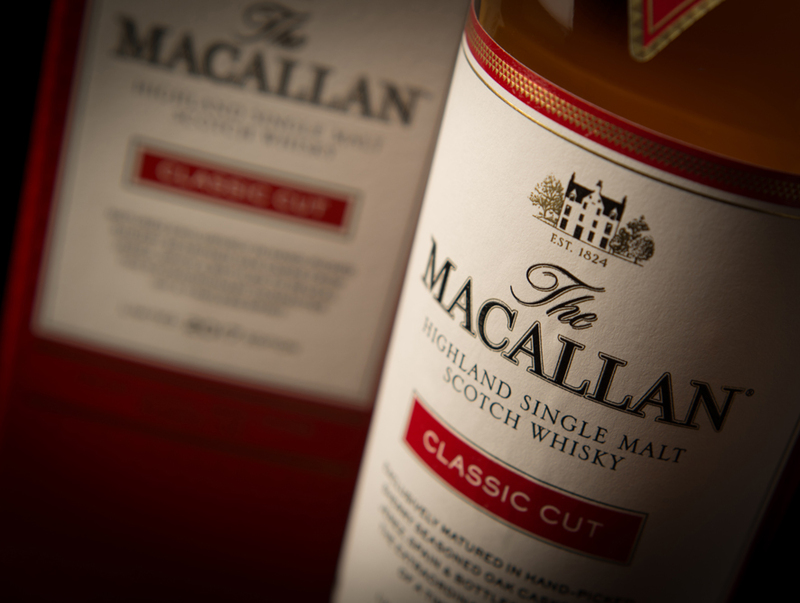 This is an integral role as the influence of the wood on the final character of The Macallan is critical. They choose this significant investment in the journey, from the acorn to the cask, due to the leading role wood plays in delivering the distinctive character, aromas and flavours of The Macallan. Typical flavours associated with American oak are vanilla, lemon citrus and coconut. The two latest releases about to hit Australian shelves later this month are The Macallan Classic Cut 2018 and The Macallan Sherry Oak 12YO Single Malt whiskies. The Macallan Classic Cut 2018 Edition is the second edition in the limited annual series that celebrate The Macallan’s ongoing commitment to seek out the extraordinary and in doing so, create whiskies of unique character. This single malt offers a whisky with dominant sweetness with balanced flavours. It is an exceptional annual release single malt whisky, matured exclusively in handpicked sherry seasoned casks with Oloroso sherry from Jerez, Spain and bottled to perfectly unlock its unique flavour profile. The Macallan Classic Cut 2018 is a truly indulgent single malt whisky of limited annual release, never to be repeated. This single malt whisky has an ABV of 51.2% and was chosen by the Whisky Maker Ian Morrison as the optimum strength to reveal a dominant sweetness and the well-balanced flavours delivered by the exceptional Sherry Oak Casks. After allowing to breathe for 10-15 minutes, heightened flavours of citrus, sweet vanilla and spice come to the forefront, combined with a satisfyingly long dry oak finish. NOSE: Orange and lemon citrus dominate the sweet notes of nutmeg and ginger and hints of vanilla and polished oak. PALATE: Ginger and nutmeg with a full-bodied sweet vanilla and orange note. It is bottled at a higher ABV (51.2%), for a richer, fuller flavour that showcases the true complexity of the whisky. It is a limited annual release therefore it is an accessible collectable. It’s rich and complex profile makes it perfect with dessert or after dinner. 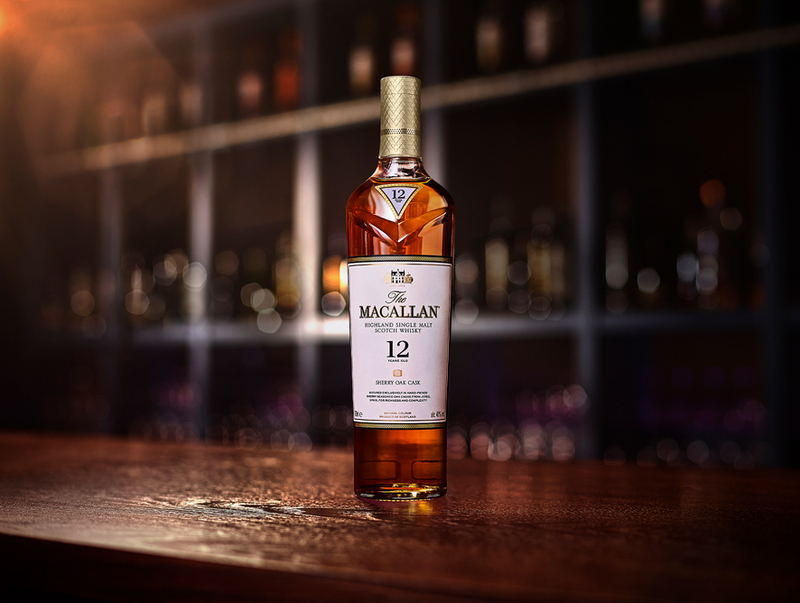 The Macallan Sherry Oak 12 Years Old Single Malt Whisky reveals the unrivalled commitment to the mastery of wood and spirit for which The Macallan has been known since it was established in 1824. When matured exclusively in Oloroso sherry seasoned oak casks from Jerez, Spain, their rich, fruity and full bodied ‘new make’ spirit is transformed into a classic single malt. Once filled, the maturing spirit remains undisturbed in the same casks for 12 years and is brought together in this rich and complex whisky characterised by spice and dried fruit and a natural rich golden colour. The Macallan Sherry Oak 12 Years Old Single Malt can be enjoyed neat, poured in an ice ball or the Spanish style Copa. Click here for information on The Macallan Australian range.